Office moves can be critical. As we all know in this fast paced world, business has to keep working. At Above Average Moving we know that down time can cause a devastation to some businesses. 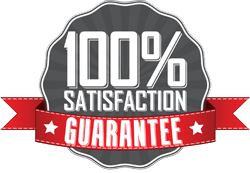 We are experienced movers, from providing the right amount of movers to the right equiptment can make all the difference. Even if you have just a one person office or a larger office with dozens of employees we can help you make your move painless for you and your employees. In addition to our moving services we offer disassembly and reassembly services for office furniture from desk's, cubicles, shelving etc... We can provide your office with packing supplies and packing service if needed, please see our suppleis or packing link for more details. the office relocation industry we know and understand what makes the difference in keeping you operational. Feel free to give us a call. Even if you don't know if your office and employees are ready to make the next move, calling us before you start can make your next move easier come time to initiate the process of relocating you business. 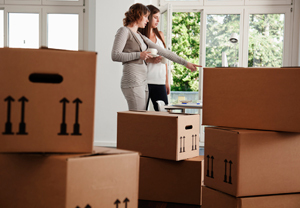 Call us today to get your personal quote for your next move with the best movers in Madison. Office moves can be critical. As we all know in this fast paced world, business has to keep working. At Above Average Moving we know that down time can cause a devastation to some businesses. We are experienced in this field, from providing the right amount of movers to the right equiptment can make all the difference. Even if you have just a one person office or a larger office with dozens of employees we can help you make moving painless for you and your employees. 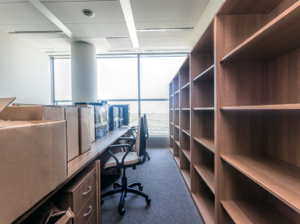 In addition to our moving services we offer disassembly and reassembly services for office furniture from desk's, cubicles, shelving etc... We can provide your office with packing materials and packing service if needed, please see our supplies or packing link for more details. Need advice? No problem with many years in the office relocation industry we know and understand what makes the difference in keeping you operational. Feel free to give us a call. Even if you don't know if your office and employees are ready to make the next move, calling us before you start can make your next move easier come time to initiate the process of relocating you business.